Part of the romance of Mariachi songs is that all things are possible. The humor, the spirit, and even the bittersweet, inspire us to a world where we live out our dreams. In that same way, much of the excitement of Jóse Hernàndez’ Mariachi Sol de Mexico® is that all things mariachi are possible. 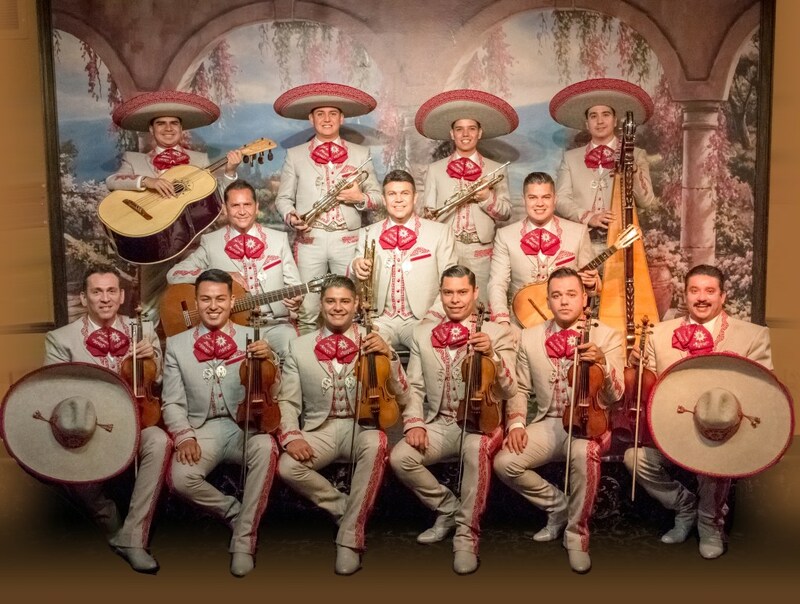 While his family tree is rooted in five generations of Mariachi musicians that hail from La Sierra del Tigre region of Jalisco, Jose built on that foundation to grow mariachi music in new lands, in new musical genres, and in the hearts of new audiences. Unprecedented, unrivaled and uninhibited, the impact of Jose Hernandez and his Sol de Mexico® on mariachi and all music is undeniable. After forming Mariachi Sol de Mexico® in 1981, Jose’s charismatic arrangements and signature trumpet playing made the group an instant and lasting success: Sol de Mexico® has played to sold out halls from New York’s Lincoln Center to Viña del Mar in Santiago, Chile. Not only were they the first Mariachi group to play concerts in Beijing, China and Pyongyang, North Korea; the shows were sold out! They have also played for four U.S. Presidents (Ronald Reagan, George H.W. Bush, Bill Clinton, and George W. Bush) including performances at the White House.